It looks like TracFone's Straight Talk brand is about to launch some new service options. 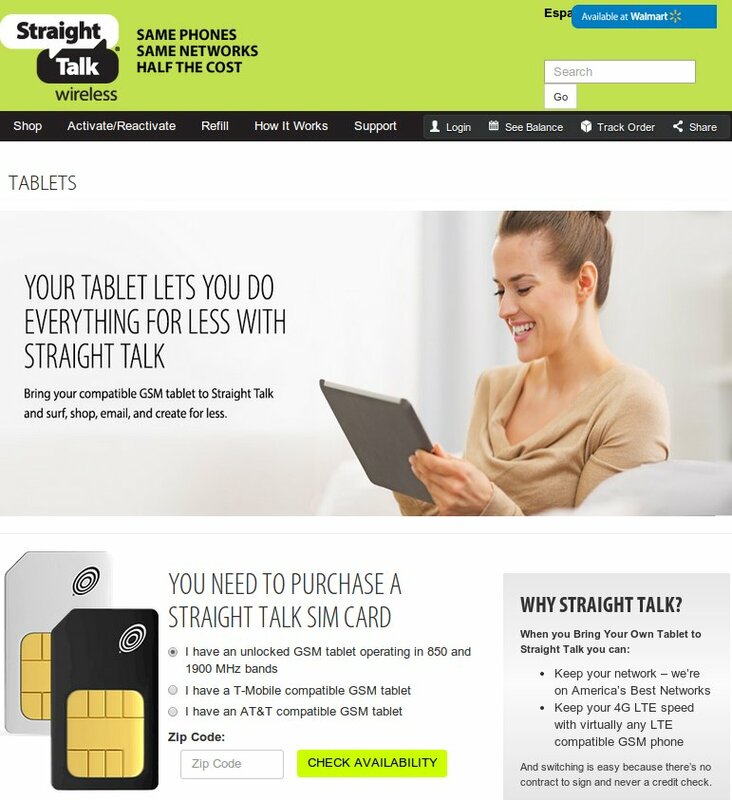 The Straight Talk site's Shop > Service Plans menu now lists Tablet Plans, Remote Alert Plans and Car Connection Plans. It doesn't seem to be possible to order any of these currently, when I try the page either reloads without doing anything or I get the error "We are currently experiencing systematic issues our apologies. Please try again later." About all you can do right now is view the pricing for the various plans. For tablets there are five plan choices. The Straight Talk site says that the plans include access to LTE data. There are non-Functional links to order AT&T based or T-Mobile based SIMs. The Remote Alert page shows a picture of what looks like a home alarm system console and an infrared motion detector. There's no description of what the service is or how it works other than the verbiage "Control your Straight Talk Remote Alert device right from the palm of your hand" with accompaning links to non-existent iPhone and Android apps. Plan prices are listed as $10 for 30 days or $100 for a year.